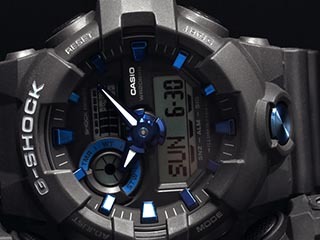 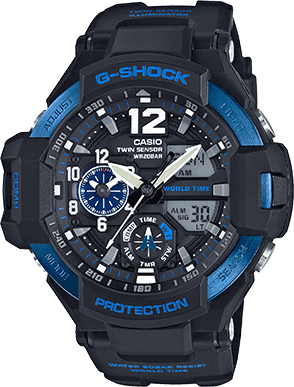 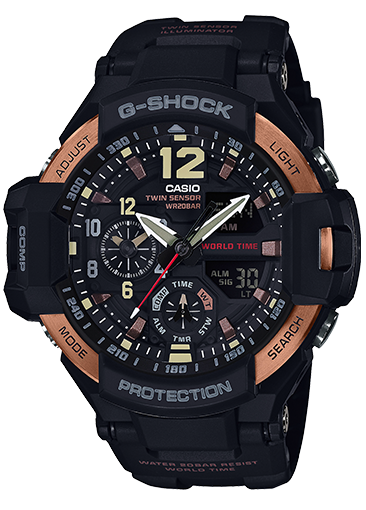 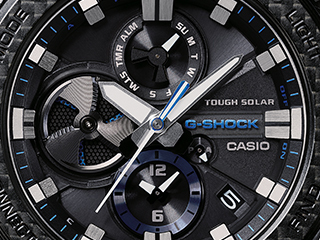 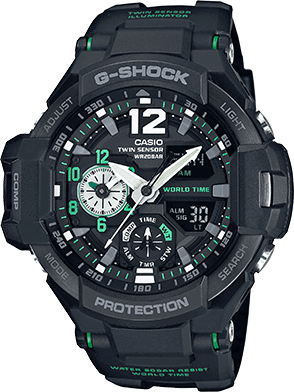 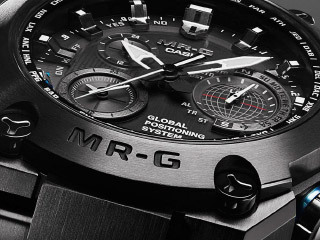 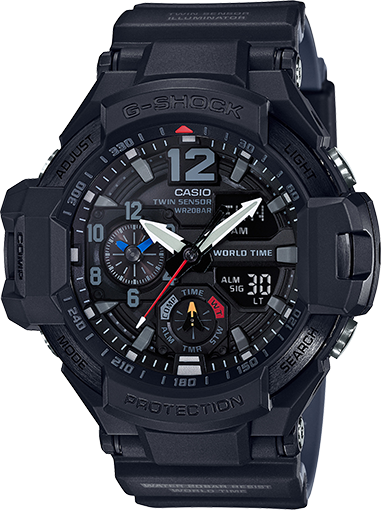 G-SHOCK brings a new GA1100 to the MASTER OF G Series GRAVITYMASTER. 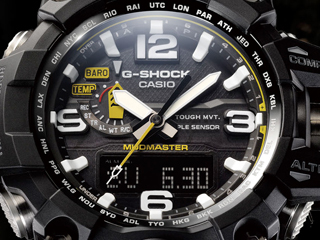 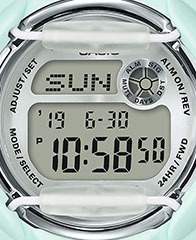 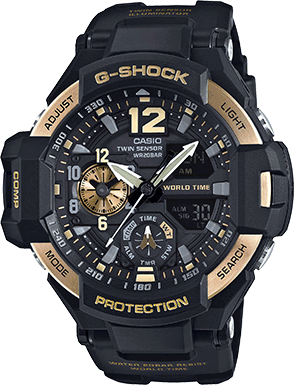 Uniform G-SHOCK black coloring is offset by the red, blue, and yellow accents of various components. 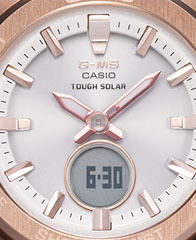 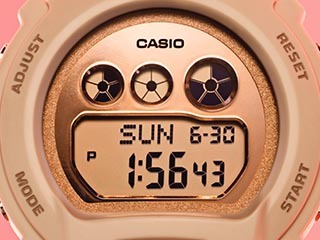 A World Time dial that uses minimal coloring promotes readability. 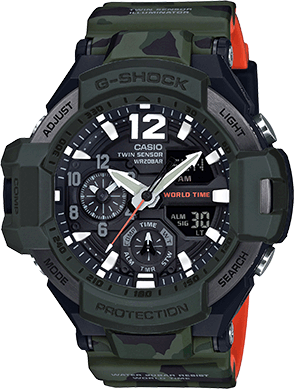 The bi-color molded band has a black outer surface and gray inner surface, which also creates a contrasting accent.